Dear Mr.Bahal with regards to your piece on asian heart- we have written to you officially. We have on record, an official written statement recorded at the Police station by Milind Mehta as well as a video statement saying that he was bribed to make that statement and that his statement shown in your story is 100% false. Hence, you must immediately take down the link. Regards Mrs. Gupta for asian heart institute. Please refer to our trailing mail which we have sent on 16th August 2017 requesting you not to publish the Asian Heart sting operation story, since it is 100% false. However, in spite of our request, you have still published the story (as per the link given below). You are once again reqeusted to please take down the link immediately, failing which we will have no choice but to take legal action against you. With regard to your letter, speaking about our response to your investigation, please find our response. We have on record, an official statement recorded at the Police station by Milind Mehta (quoted in your email) stating as follows. I hereby admit that, I made this statement in my greed of procuring the job offer and the sum of Rs. 10,000/- offered to me by Mr. Sajid Shaikh. 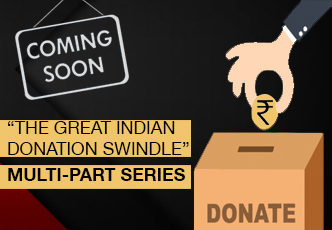 We also have a video statement by Milind Mehta, admitting that he gave his statement under pressure and greed, and that everything he said against Asian Heart Institute accepting cuts is completely false. We were able to reach out and prove to all the channels, which had put up your investigation, that the claims made by Milind Mehta were blatantly false, and that he was paid to deliberately malign our image- at at time when we ourselves were championing our anti-cut practice campaign. The channels were all gracious and kind, and responded to us by removing the link. In light of the above, we would first of all like to say that you must not publish the story at all; as it is 100% false. However, if you do publish, we will have no recourse but to initiate legal action against you. With reference to your questions, please find below our response. This statement may be used in totality without any edits. “As a responsible healthcare provider, we remain committed to be fully complaint to our legal and regulatory obligations. We will probe the matter at hand. We continue to provide quality healthcare to our communities in a transparent and ethical manner”. Hope this email will find you in True Spirits! This in reference to trail mail dated 14th Aug’17 (as mentioned below). The queries raised are answered by comments highlighted in yellow/blue. SevenHills being a JCI ( Joint Commission international) accredited hospital will never indulge into any malpractices & will always follow MCI guidelines. Referral fees are not offered to any Drs/Institution. It has been completely misinterpreted. Interpretation fees are offered only to those family physicians who are a part of consultation team to treat the patient, visit hospital to meet patient/Treating Dr & will follow-up with Treating Dr for further treatment. Act as an Interpreter. Absolutely wrong information shared. Shivkumar handles TPA, Corporate & DTC team; no way connected to Drs/Institutions/Nursing homes. Hope this information is handy. 1.With reference to the allegations in the email and your discussions with our Mr. Kumar Hiremath[Assistant Manager Marketing]we wish to clarify that on enquiring him about the same has advised us that he does not recall any such conversation as referred in your email. 2.With reference to the allegations about commission/ kickbacks referred in the aforementioned email. We wish to clarify that, the allegations are not true therefore it is denied .we also wish to clarify that, none of our hospitals does encourage or solicit any business from third party doctors/ hospitals in return for any commission / kickbacks to such doctors/physiciansor third party medical Centre for referring/recommending a patient. However, we wish to clarify that the doctors or small time medical centers certainly can refer the patient for providing higher medical management at our hospital/s and the same is in line with Indian Medical Council (Professional Conduct Etiquette & Ethics) Regulations 2002. We hope we have answered your queries. Therefore we urge you not to publish any news that is not true or make defamatory/derogatory statements that are unfounded. Firstly we here by confirm that we don’t have any staff by name Nitej working with our organization. We however thank you for bringing this to our notice and we hereby request you to share any relevant information in this regard. We will conduct necessary enquiry as per our company norms. Kindly refer to your mail dated 17th August 2017. Please note that we have not received any mail from you dated August 14th 2017. Our response to your queries are as follows verbatim. The Management of Mallya Hospital, right from the inception, has been totally against the payment of referral fees to referral Doctors for referring patients to this Hospital. We discourage such a culture and definitely not aware that any of our Consultants indulges in such activities. In fact this was made very clear during the string operations by Times Now by Mr.Somasekhar, Business Development Manager that the Hospital Management has never indulged in the referral culture. So we hereby deny that Hospital Management of Mallya Hospital encourages referrals from smaller Hospitals and Outside Doctors and gives them commission/referral cuts. It is relevant to note that Mr.Somasekhar was issued a “Show Cause” notice on 11th July 2017 for his gross misconduct and he was suspended with immediate effect. In his reply to the Show Cause notice he did not mention the names of any Consultants of Mallya Hospital indulging in referral culture. It is relevant to state that Mallya Hospital, right from the beginning, unlike most of the other Corporate Hospitals, empanel Consultants in various Specialties and Super Specialties on “Fee for Service” basis and therefore they are not our employees on our payroll. If ever we come to know that a Consultant of Mallya Hospital is indulging in unethical practices, the Medical Executive Committee of the Hospital shall immediately remove him/her from the panel. Mallya Hospital also carried out Investigation in this matter and could not come across any names of Consultants who may have indulged in such practices. Mr.Somasekhar was suspended for one week and since no names of Consultants came to light, he was reinstated with an issue of Final Warning Letter. The Management issued a Circular to all Consultants of Mallya Hospital on 13th July 2017 strictly warning them against giving Referral Fees to Outside Doctors for Referring Patients. We assure you that Mallya Hospital never indulged in such unethical practices earlier and will never do so in the future. I wish you inform that Metro Group of Hospitals has never indulged in any of the malpractices. Our way of working is purely ethical. Further, I am awaiting for our GM – Corporate Affairs, who is on leave today to answer the queries raised by you. I humbly request you to kindly give us tomorrow’s time to get back of the subject matter. We shall positively get back to you before 5 pm tomorrow. Kindly accept my apologies for the delay in the response. Actually our GM Corporate Affairs extended his leave. For the subject matter we want to assert that Metro Group of Hospital has always followed a transparent approach in service delivery and has never indulged in any malpractice. Our HR make sure all the employees have to submit undertaking not to indulge into any unethical activity.The statements the two employees have been made at their personal level and we don’t take any responsibility for the same. Both of them have already left the organization. We believe in the fair competition and with uncompromised quality we offer the healthcare services at much affordable cost, this value of serving the community has been a corner stone for us. Yes, we are in touch with many local physicians and primary healthcare centres through continuing medical education (CME’s), Camps, etc. The idea behind it is to keep them updated with any technological advancement and the pool of efficient doctors we have. This helps timely referral of patients to higher centre for treatment and sometimes proves life saving. There are many incidents where we end up providing heavy discounts to the needy people. It is our philosophy that “we never return patients for the want of money”. Lakhs of patients have trusted us for years and that matters most to us. We still fail to understand under what circumstances they made such unacceptable statements which are against our policy and we as an organization doesn’t allow or promote such practices. Greeting from Jaslok Hospital & Research Centre. We received your mail and being a trusted name in healthcare for decades, we are disheartened to receive this mail. We shall be looking into the feedback and will like to get further understanding on the case from you. This is in reference to the questions sent from your side. We are a tertiary care hospital, having state-of-the-art infrastructure and medical talent to handle complicated cases. We do have formal tie-ups with small nursing homes and hospitals offering secondary care treatment, who refer the patients to us as and when they cannot address the medical requirements of patients due to inadequacy of requisite infrastructure or medical talent. Moreover as part of our outreach programme, in some cases our doctors visit such hospitals and conduct OPDs and also conduct some procedures in such hospitals. For the services offered by our doctors, fees are paid by these hospitals. In addition, when patients are referred or admitted in our hospitals by nursing homes or general practitioners, such doctors are given visitation rights for which they are paid fees. If any discount is offered, it is offered only to a patient directly. We can assure you that we don’t encourage or indulge into any unethical business practices and conduct our business with the highest level of transparency and integrity.